The first version was not configurable, and only took the name from the site and showed you what had been indexed base on the site name. Hence the dashlet name, it is news about what is in the index about your site (again, based on the name, not the site content). That worked well as an example of how to create a dashlet, but to be really useful it needed a configuration option to allow for custom searches. The version that is available for download from the Share Extras website now has option to configure search terms (still uses the site name if you do not configure). 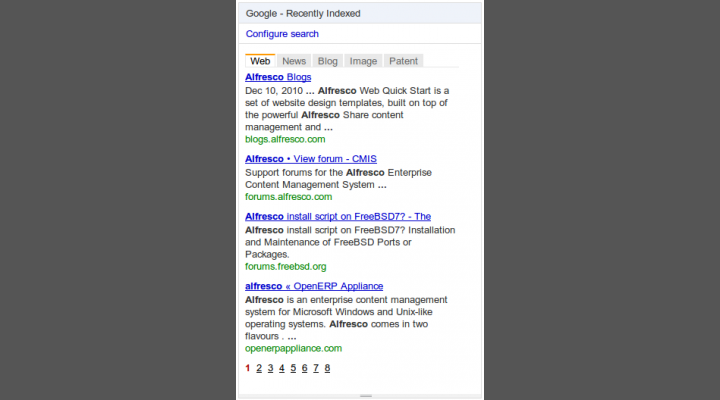 You can use the search options you would user for a google search to get more accurate search results. You can also set the number of days back from today to be shown. 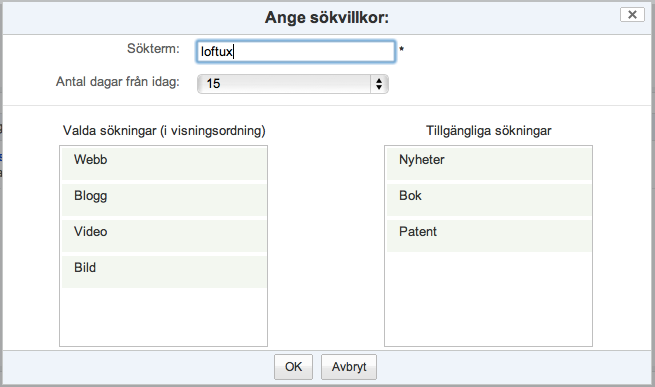 With drag and drop you can configure what searches (tabs) and the order searchers should be displayed int the dashlet. Download the jar file, already compiled, just drop in bin (see instructions) and try it out. Or download source to create your own version. You can contribute localizations (currently available in English and Swedish) if you like. Or maybe you have your own Share add-on that you would like to contribute to the Alfresco Community?